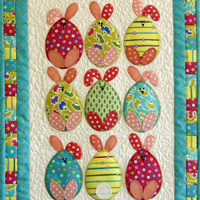 Share the joy of Easter with the adorable Easter Egg Bunnies wall hanging. The cute bunnies with their big floppy ears and big bunny feet are easy to make with fusible webbing and a simple blanket stitch. Are they Easter Egg Bunnies or Easter Bunny Eggs? We don’t know. All we know is that this little wall hanging was fun to make and makes us smile. 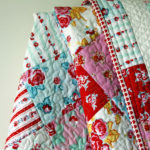 This little quilt is ideal for using tiny pieces from your fabric stash. 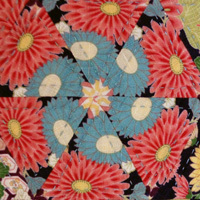 Basic embroidery stitches are required. 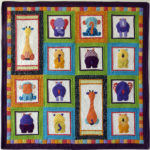 This quilt leave anyone that sees it smiling! It does look like a fun thing to make. ?